I have to give up coffee, either temporarily or permanently, I don’t know which–it’s an autoimmune thing. But really–it’s ok. No need to fix it or Match.com fix-me-up with Yerba Mate/green tea/herbal supplements. This is a kind of elegy, and I’m just going through old photographs, remembering the hot kisses from the one who pushed my shoulders back in my chair and made my hair stand on end. Here is a list (inspired by Daniel Nester’s lists) of coffees I have loved. Corner store coffee in Dorchester on the way to the train, early morning cold, Hazelnut sometimes, a watery yet bitter bracing taste. That was it. 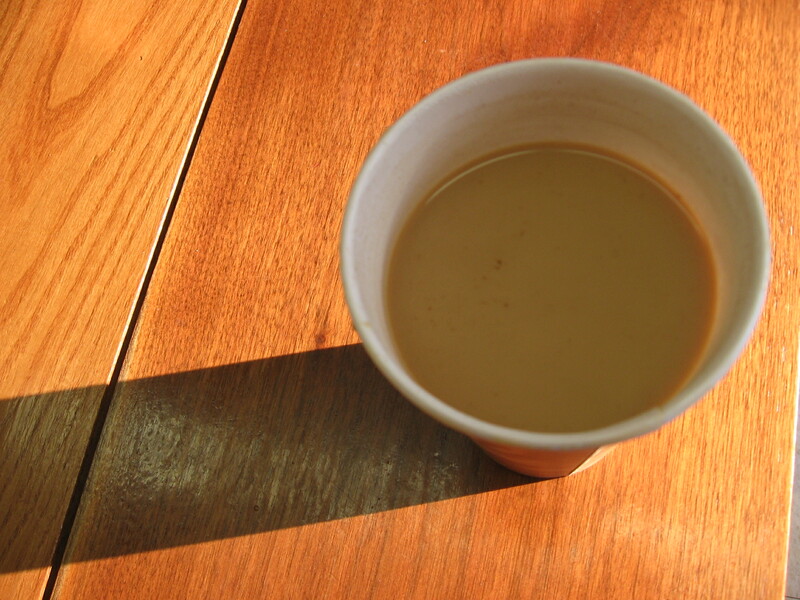 That was the last coffee, and a coffee stain on my desk that I briefly considered licking just for one last taste. Previous Post Lance Armstrong’s lies in memoir protected by First Amendment. Hmmm. I too gave up coffee. It was… mm, thirteen years ago. It was my favorite thing back then. I didn’t know it was going to be forever, else I probably wouldn’t have done it.